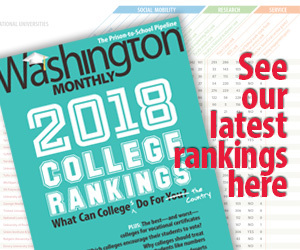 Washington Monthly | This Decision’s For You, RTLers! This Decision’s For You, RTLers! Kinda reminds you of Bush v. Gore, doesn’t it? Alito takes pains to make it clear that his opinion shouldn’t be considered precedent for anything except the narrowly specific issue at hand: whether contraceptives that some people consider abortifacients can be excluded from health plans. I think it’s important to recognize what Alito is saying here. Basically, he’s making the case that abortion is unique as a religious issue. If you object to anything else on a religious basis, you’re probably out of luck. But if you object to abortion on religious grounds, you will be given every possible consideration. Even if your objection is only related to abortion in the most tenuous imaginable way—as it is here, where IUDs are considered to be abortifacients for highly idiosyncratic doctrinal reasons—it will be treated with the utmost deference. This is not a ruling that upholds religious liberty. It is a ruling that specifically enshrines opposition to abortion as the most important religious liberty in America. I’ve often observed how strange it is that so many conservative evangelical leaders and activists read the Bible and somehow come up with the idea that its most important teachings for the contemporary faithful is to fight abortion, feminism and homosexuality. That makes about 99.9% of holy scripture marginal or even irrelevant. And as Kevin suggests, that distortion seems to be validated by Alito in this decision.